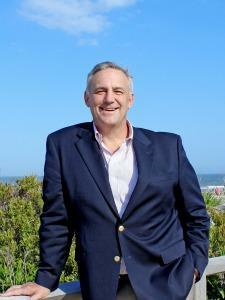 I'm a native and lifelong resident of Ocean City and have been in the Ocean City real estate industry since 1983, the last 27 years at Monihan Realty. I graduated from Ocean City High School in 1976 and from Drexel University (5 year co-op) with a B.S. in Business Administration in 1981. I am also currently the Advertising Manager Emeritus for Monihan Realty as well as a lifetime member of the New Jersey State "Distinguished Sales Club." I offer a level of personal service and knowledge that only experience can provide. In my spare time I enjoy spending time with my wife Amy (University of Pennsylvania, Wharton 1992) and our children, Sami Grace (13) and Micah (9), playing golf and upgrading our Ocean City residence and (5) other Ocean City properties.